The requirements now necessary with regards to sectional title maintenance of major capital items as per the Sectional Title Schemes Management Act (STSMA) are there to create a more formalised and long term view with regards to maintenance, which in turn will create a need for better budgeting and financial management, says Michael Bauer, general manager of property management company IHFM. There are two provisions in the STSMA, Regulation 2 and Annexure 1 of the new Prescribed Management Rules. Regulation 2 provides for a reserve fund to be established (purely for maintenance of major capital items) and the amounts to be in reserve. Trustees must distinguish between normal repairs and maintenance (on-going during the year) and replacement of major capital items as these will have purpose-bound funds in the reserve fund, said Bauer. Repairs and ongoing maintenance need to adequately budgeted for in the operational/administrative budget and cannot be cross-subsidised. If the scheme runs out of budget in the repairs and maintenance, trustees may have to raise a special levy. “Many will attest to the fact that well-maintained buildings create better first impressions and growing property values. The financial protection offered through a well-managed scheme will create a demand for units for sale and the cycle of increased prices and demand perpetuates,” he said. The first new requirement in terms of the new legislation is that all sectional title schemes must have a ten year maintenance plan which must be presented at the Annual General Meeting (AGM). The Act does not specify what format this documentation should be in but it should include all major maintenance items, e.g. electrical installations, plumbing, glazing, waterproofing, perimeter fencing, and the like) and the costs of repairing, replacing or maintenance of any of these items over the coming ten year period should be listed. The problem with the fact that there is no prescribed form provided for the maintenance plan, is that some might not list the necessary details required, and miss an important part or aspect of the plan, said Bauer. The maintenance within the scheme of any of the common property for the previous year, the current year and the following year should also be presented. With the specific information required, all the projects will be clearly defined and documented, which will help with more effective budgeting for maintenance, said Bauer. Larger sectional title schemes might need to employ a professional to survey the premises and compile the ten year maintenance plan, as this is something that the layperson might not be able to carry out with the necessary detail. The second requirement in terms of regular maintenance is the provision for a reserve fund to be established, which goes hand in hand with the ten year maintenance plan. This is listed in the regulations of the STSMA and Annexure 1 of the Prescribed Management Rules. The suggested amount is to have 25% of the scheme’s annual levy budget in reserve at all times, if it needs topping up from year to year, this should be done, and it is not necessary to pay in 25% of the levy budget each year. The reserve fund should be in a separate account and separate financial records should be kept for this. 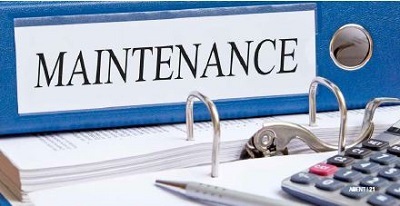 “Trustees might see this as creating much extra work, but a future maintenance and budget plan is very important when it comes to protecting the owners’ investments – proper maintenance helps hold property values and proper financial planning helps eliminate large special levy payments, which have been known to create very difficult financial situations for some sectional title owners,” said Bauer.